The SV411K 4 Port Black PS/2 KVM Switch Kit with cables lets you control four computers using a single keyboard, mouse and VGA monitor and offers both hotkey and top panel push-button operation for simple switching between connected computers. 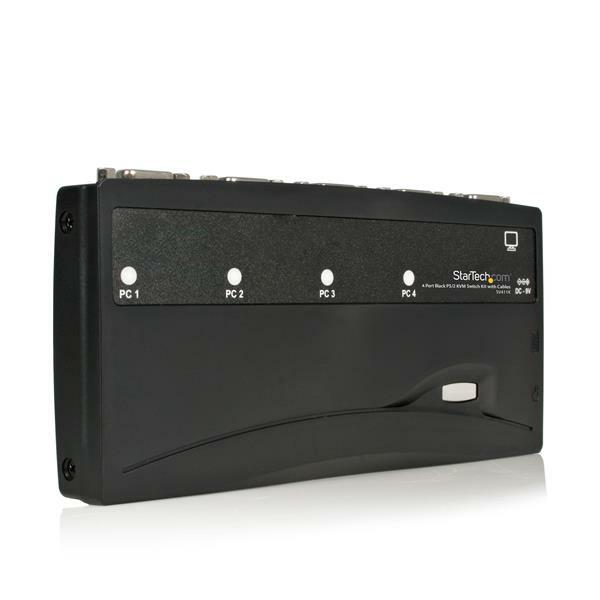 Designed to integrate seamlessly into any environment, the KVM switch offers a small footprint design (roughly the size of a deck of playing cards) and draws power from the connected computers, so it doesn't require an external power supply. 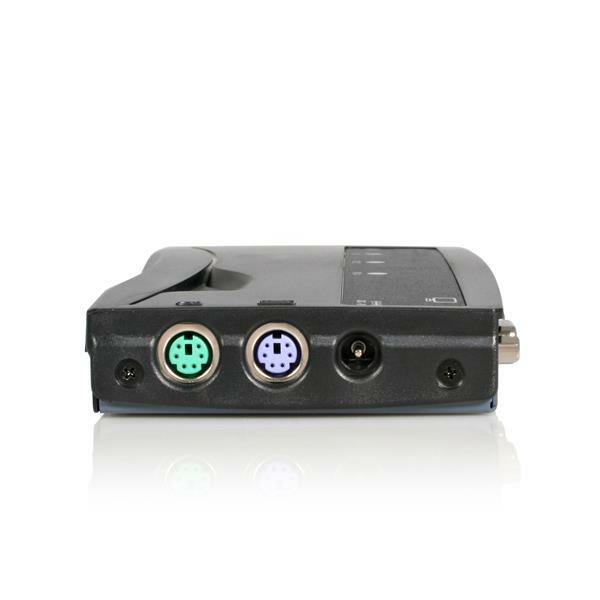 Delivering dependable and convenient control of multiple computers from a single peripheral station, the KVM switch supports video resolutions of up to 2048 x 1536 and includes 3-in-1 (PS/2 and Video) cables to provide a complete, out-of-the-box KVM solution. 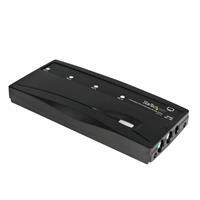 I've been using this KVM for a couple of years now, and it's been fantastic in what is probably an unusual setup. I'm switching between two PCs (Windows 7 and Linux Mint), and AmigaOne and an Amiga 1200. All machines are running at 1920x1200 and, for such a high resolution, the image on my Dell U2410 is remarkably clear compared to any other VGA KVM I've seen at that signal frequency. 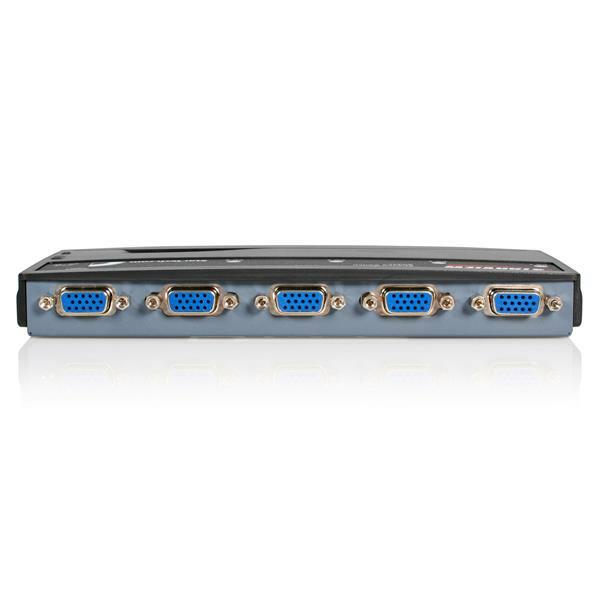 It's also far smaller than any similar KVM I've ever used due to combining all the connectors into one. 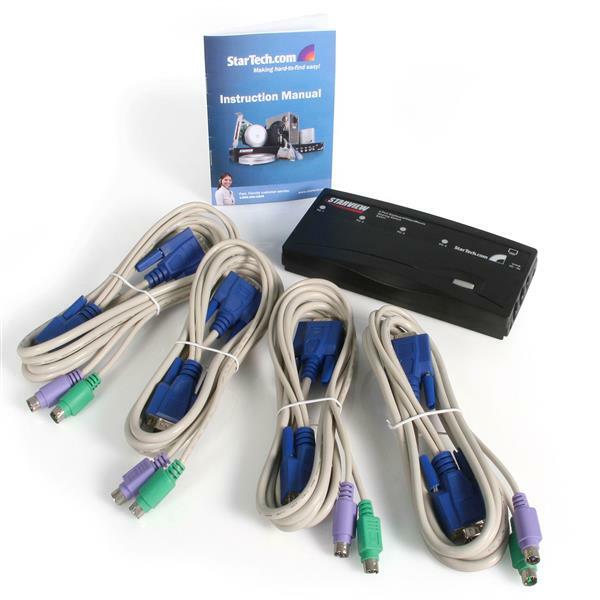 This means you need to use their own custom VGA cables rather than standard VGA+PS/2 cables. This was a minor issue for me since one of my machines (the modded Amiga 1200) had its VGA and PS/2 adaptors too far apart for the cables to reach without an extension, but for 99.9% of cases this shouldn't be a problem. When I first received the unit, it gave problems with the mouse sometimes jumping all over the place or refusing to be recognised at all, requiring me to remove all the cables to reset the KVM - a complete pain. 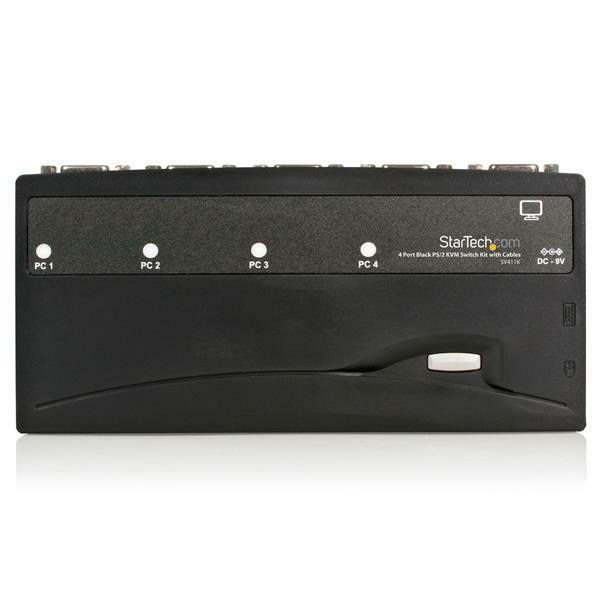 But when I asked StarTech about this, after explaining that yes, I had indeed tried different mice, they replaced the unit and it's been rock solid ever since. All in all, I'd be lost without it.